When I am invited to people's homes for dinner often I get asked to bring dessert, and I eagerly do so. If I have time I use it as an excuse to try something new so if the recipe works I can add it to my growing collection of tested recipes. 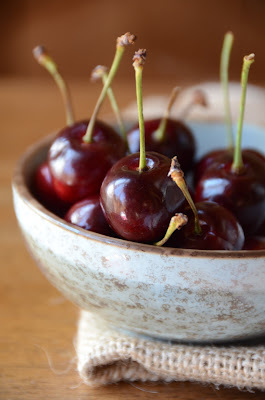 Eager to finally cook a dessert containing fruit other than apples, I decided to try a cherry dessert, so when I saw this recipe I knew it was the one to try. I also wanted to try this cake because it looked like I could easily make it gluten free since it already contains almond flour. I got used to eating gluten free, but my big sweet tooth really suffers from the lack of an occasional slice of cake or piece of cookie. With this cake I can eat all I want! 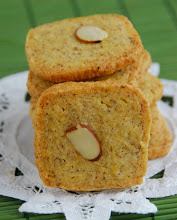 This cake could be made with different fruits, and some of the almond flour could be substituted with pistachio meal. To make it with regular flour, omit the tapioca and use all purpose flour in place of the rice flour. 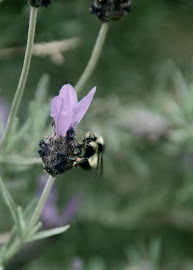 I will bring lemon verbena ice cream to the dinner party as well. The original recipe comes from Sigrid's blog, Cavoletto di Bruxelles, who got the recipe from Annalisa Barbagli, a contributor of the Italian food forum Il gambero rosso. Pre-heat oven to 350F. Butter the bottom and sides of a cake pan (I used an 8" pan). Spread some granulated sugar to the bottom and sides. Sift together the dry ingredients. In the bowl of an electric mixer, beat butter and sugar until fluffy, add one egg at the time, clearing the sides of the bowl with a spatula. Beat until smooth. Add the dry ingredients and mix just until incorporated. Spread the batter at the bottom of the prepared cake pan. 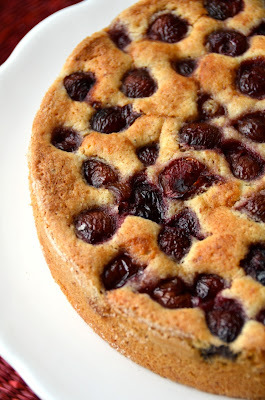 Add the pitted cherries pressing them a little into the batter. Bake for 40-45 minutes until a cake taster comes out clean. This looks very nice. I'll definitely try, since I keep all the ingredients at home. I like the pairing with lemon verbena ice cream! Rosa, I hope you try it, it is one of the best cakes I have made. Simona, fammi sapere cosa ne pensi. I love both combination of cherry and almond. Your cake look delicious, and very convincing. Hai fatto benissimo a provare quella torta! Ispirava molto anche me. Deve essere squisita pure la tua versione GF! E complimenti per la foto alle ciliegie: bellissima! ps. io aspetto di vedere il gelato, ora! Wow, your blog is full of beautiful food! Thanks for visiting Arlington Mama. I'm glad I got to see this! Love it! Laura, thanks for leaving the comment on my blog about this cake. 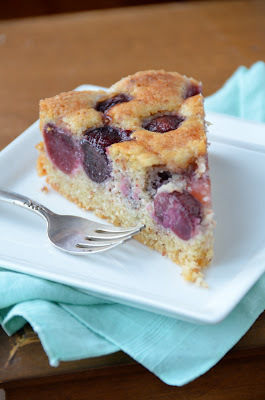 My husband loves cherries, and this would definitely be a great one to try. Like the linzer pastry I made, I love the flour and nut combination. Delicious! This cake looks gorgeous. There were cherries at the farmers' market today, and I'm now regretting that I didn't buy any. Next week! 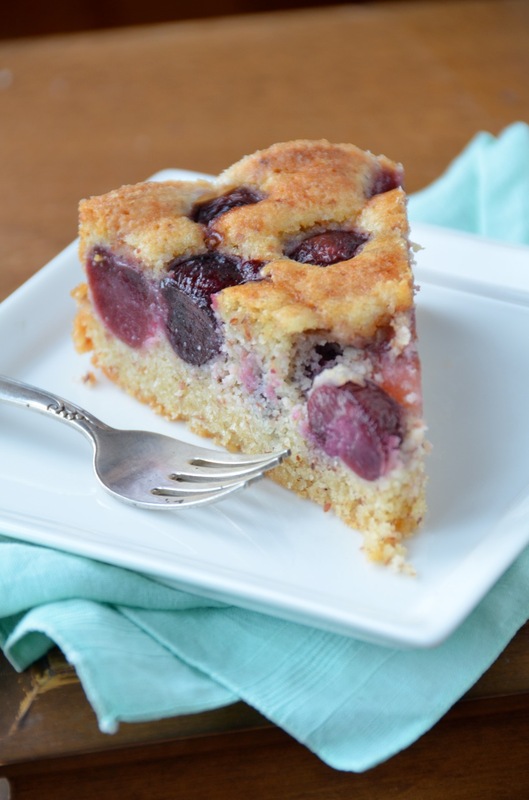 I love good pie cherries time here now is not usually prepare the cake, you have good hand you are saying here has been luxury egustan your recipes I'm staying in your nice blog, big hugs. compro le mandorle e ci provo!! 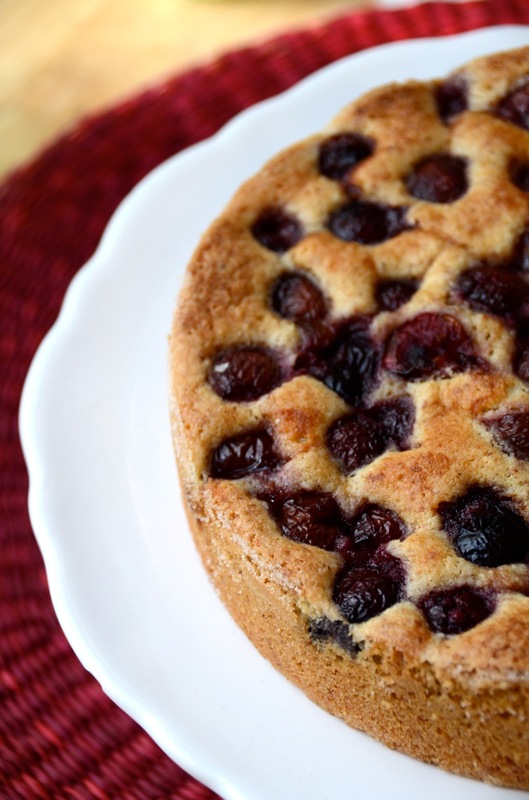 This was the perfect recipe to bake the cherries we just picked today! I don't usually love gluten-free cakes, but this one came out delicious!! I wonder about adding a little almond extract or amaretto next time? Thanks for the recipe! Rebecca, the original recipe is not gluten free, I believe the link is in the post. Adding some extract would be a great addition, so would some kirsch probably.